Manitobans should have access to housing but, at any given time, there are about 1,400 people experiencing homelessness in Winnipeg alone. Many others live under threat of homelessness, paying the rent with money needed for food and other basic needs. Housing advocates call on the provincial government to remember these people when the budget is tabled Tuesday. A commonly proposed solution is for these individuals to “go get a job.” However, many are already working. Full-time minimum-wage earners don’t make enough to live above the poverty line. Worse off are parents who can’t work full-time because they can’t find childcare space, students who can only work part-time while studying, and people with disabilities who face barriers to full-time work. Others cannot work and are forced to live on inadequate income benefits. This includes refugees who need time to settle and transition into employment, people with severe and prolonged disabilities, and older adults who face discriminatory barriers to employment. A comprehensive plan featuring a higher minimum wage, more child-care spaces, and higher social assistance benefits would go a long way toward improving incomes. But in its absence, we need to make housing more affordable for Manitobans given the incomes they live with today. The private market does not make money off of affordable housing and simply does not supply enough of it. Even with government incentives, it’s not happening. Developers and landlords encourage governments to step in with rent top-ups for low-income tenants. Manitoba’s Rent Assist program, which provides an income benefit to low-income Manitobans, is certainly helping and ongoing investments into this program will be critical. For a rent top-up to be an effective solution, there needs to be enough housing in the market. But there isn’t. And there definitely isn’t enough low-rent housing. 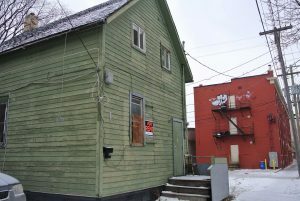 In Winnipeg, the cheapest bachelor units, which can house single individuals experiencing homelessness, have a 2.8 percent vacancy rate – just 27 vacant units. The Plan to End Homelessness in Winnipeg says 7,500 units are needed just to house the homeless. For a rent top-up to be effective, it must also be large enough to ensure low-income people can afford the housing that is available. But it isn’t in many cases. The best a family of five can do with Rent Assist is afford a one-bedroom apartment. Until there is a better top-up through Rent Assist, someone needs to add more affordable units to the market. If the private sector isn’t about to suddenly start building the quantities that are needed, who will? Manitoba under the NDP government was a leader in the construction of social housing. It added 1,500 units each of affordable and social housing between 2009 and 2014, and committed to building another 500 of each by 2016. The province also made record investments in maintaining the existing stock of affordable and social housing. The province also stepped in to provide housing with supports for specific demographics that the private market underserves. Women fleeing domestic violence require housing that optimizes their safety and offers trauma-informed supports. Youth aging out of the care of Child and Family Services need transitional housing with supports to move into permanent affordable housing. Some large families including newcomer and Indigenous families require larger units with settlement supports. Persons with disabilities require housing built to high standards of accessibility. The private market does not provide housing with these supports and services. The new government has committed to launch a new housing strategy, but there has been no public commitment to setting a target and timeline for building new social and affordable housing. The Right to Housing Coalition is calling for 300 net new social and affordable housing units built by the public, non-profit and co-op sectors annually so that Manitoba does not fall behind going forward. Manitoba can set an ambitious target and invest provincial dollars knowing that the federal government’s renewed interest in affordable housing will bring in additional funding to assist local efforts. Manitoba has made progress on the housing file in recent years. We eagerly await Budget 2017 to see how much further we can expect to go with our new government’s vision for affordable housing.